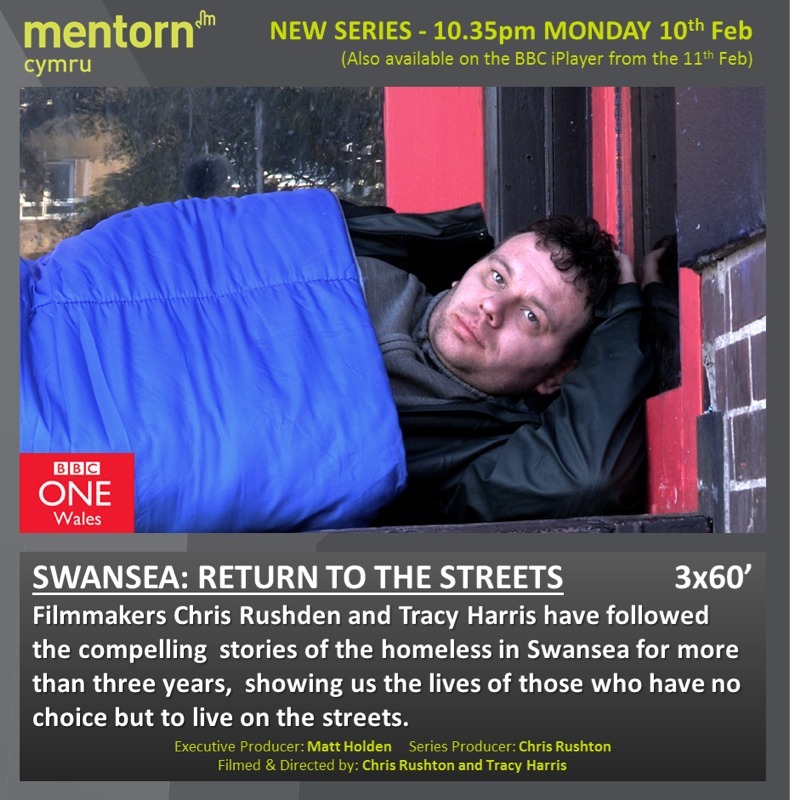 This Monday 10 Feb see the first of three more remarkable documentary programmes featuring the stories from some of those on the streets of Swansea. It’s gritty and deeply moving, depicting some beautiful moments of hope amid a dark back drop of deeply traumatic lives struggling to get through each day. In the back ground, Zac’s Place features along with the work of other organisations: The Wallich, Caer Las, Cyrenians, The Big Issue and medical professionals demonstrating where we fit and how we function together. Tune in 10.35 BBC 1 Wales, Mon 10 Feb and BBC iPlayer and get a window on some of what makes us who we are and do what do.